A large portion of Americans are still renting properties, instead of enjoying a home of their own. Consumer reports believe this is an issue because of a buyer’s lack of trust in their ability to purchase. It is still a long standing notion that a buyer needs 20% towards the cost of the home in order to move forward, but this isn’t true. 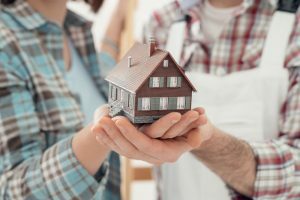 With countless down payment assistant programs, and closing cost roll-ins, a home owner could move in with as little as a few hundred to a couple thousand dollars. Which is a huge difference in the time it takes to save up to make the move. Now imagine if you were renting a home for $2000/month. If your landlord is renting to make a profit, think how much less you’d be paying on a monthly basis towards your mortgage, if the home was yours. Then you wouldn’t be paying a landlord to profit off of you, you’d be paying a reasonable rate, and get to call the property your own. Discuss with your buying options with a Maroney Real Estate Professional and qualified lender what steps you need to take towards home ownership, you might be happily surprised about the type of home you can afford to move into.